Content: Roots | Pillars of jazz from over the Vistula | Stylistics of Polish jazz | Contemporary yass scene | Jazz interpretations of Chopin's music. The jazz movement in Poland has a very long tradition. It is, however, impossible to precisely identify a date, an event or even a series of artistic facts that were the origin of this movement. Before the Second World War, bands playing in restaurants and bars of Warsaw, Kraków or Poznań had "jazz" in their repertoire. This was for example the music of George Gershwin or of the authors of Broadway musicals of the era of swing, such as Richard Rodgers and Lorenz Hart. Their compositions were very fashionable all around Europe at that time, just as was the swing. After the war, the initial period of fascination with jazz music was quickly suppressed by the communist authorities. The next stage in the history of Polish jazz was called "the catacomb period" because during that period, jazz was played unofficially as an underground music in private houses. It was only the period of the political "thaw" after 1955 that brought freedom also in the field of art. It was the beginning of the development of an authentic jazz movement in Poland. Jazz festivals in Sopot were organised (in 1956 and 1957). They were the origin of the tradition of the Warsaw Jazz Jamboree Festival organised in later years. Jazz Jamboree is now one of the oldest such events in Europe. 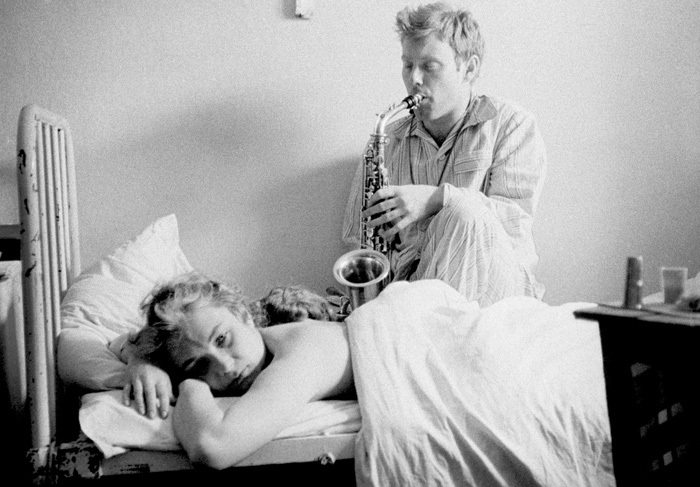 Jerzy "Duduś" Matuszkiewicz (born 1928) - composer and saxophonist, creator of bands such as Melomanii, Traditional Jazz Makers, Polish All Stars; during the 1960's, he devoted himself almost solely to composing. He wrote the soundtracks of over 200 films; he is still active as a musician and he appears occasionally on the Polish musical scene. Krzysztof "Komeda" Trzciński (1931-1969) - composer and pianist; creator of bands such as Sekstet, Trio, Kwintet / Quintet; composer of the soundtracks for a number of films (among others Do widzenia do jutra / See You Tomorrow directed by Janusz Morgenstern, Niewinni czarodzieje / Innocent Wizards directed by Andrzej Wajda, Nóż w wodzie / Knife in the water and Rosemary's Baby directed by Roman Polański). In 1965, Komeda's Kwintet recorded an album titled Astigmatic. This record is considered to be the most outstanding achievement in the history of Polish jazz. The following musicians were, among others, members of bands led by Krzysztof Komeda: Zbigniew Namysłowski, Michał Urbaniak, Tomasz Stańko, and Jan "Ptaszyn" Wróblewski. All these musicians were to become leaders of bands and of stylistic streams of Polish jazz. During the last few years we have been witnessing a renaissance of the compositions of Komeda. His expression is to a lesser extent a result of purely jazz style timing (a pulse typical only to this style of music) but it is replaced by lyricism and a free (variable) treatment of time during the course of compositions. The above relates mainly to three compositions from the Astigmatic record: Astigmatic, Svantetic, Kattorna. Krzysztof Komeda, although he was never a virtuoso pianist, is still considered the most outstanding Polish artist in this field of music. 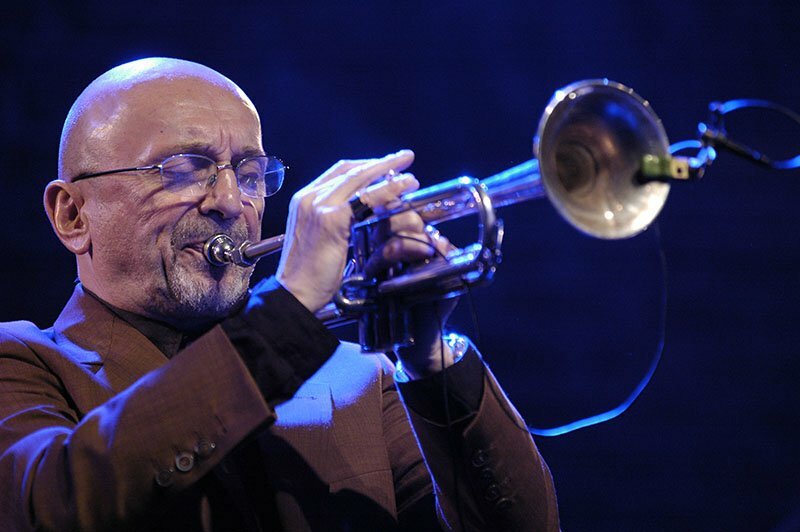 Tomasz Stańko (born 1942) - composer and trumpeter; during the 1960's, he was a member of the Jazz Darings quartet, and of Krzysztof Komeda's Kwintet; he also created his own bands, among them was the Kwintet / Quintet (including saxophonist and violinist Zbigniew Seifert and saxophonist Janusz Muniak). He composed various music from solo, through quartets, quintets, even compositions for orchestras (e.g. for the Polish Radio Jazz Studio). He is considered to be a representative of the free jazz stream, although there have always been (and are quite distinct in his present works) traces of both world-wide standards and Polish themes in his music, themes taken from compositions of Krzysztof Komeda or inspired by Witkacy's theatre. In the creations of Tomasz Stańko, the following elements are important: an open form of composition which allows for changing dramaturgy, depending on band members and on circumstances. This leaves a substantial margin of freedom in the reception of his performances (this artist is never "literal" or "obvious" in his creation). The sound of his instrument is immediately recognisable, hoarse, highly emotional and sometimes it is an echo of a human voice (a cry, a whisper). Tomasz Stańko is the greatest living (and still extremely active) Polish jazz musician. Zbigniew Namysłowski (born 1939) - composer and saxophonist, also flutist, violoncellist and trombonist; during his early days, he was a member of bands led by other musicians (in 1950's these were: Modern Dixielanders, Modern Combo, Polish All Stars, New Orleans Stompers); during the period 1960-63 he was a member of The Wreckers. Later he began to create his own bands, in most cases quartets and quintets. 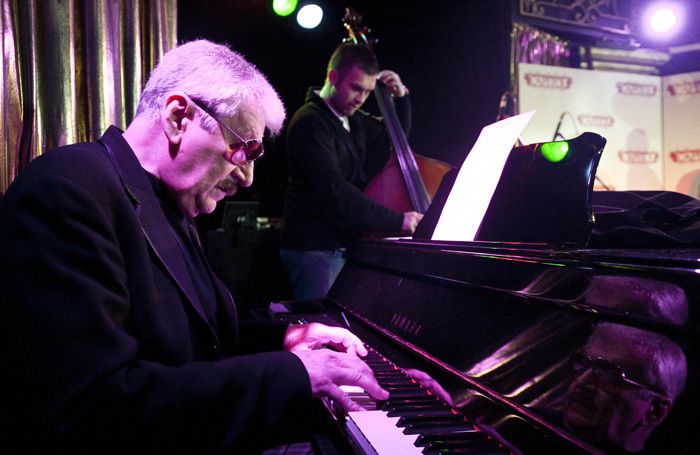 Since the 1960's, almost all the most distinguished Polish jazz musicians have been members of his bands, including: Włodzimierz Gulgowski (piano), Michał Urbaniak (tenor saxophone), Czesław Bartkowski (percussion), Janusz Stefański (percussion), Władyslaw Sendecki (piano), Sławomir Kulpowicz (piano), Tomasz Szukalski (tenor saxophone), and Krzysztof Ścierański (electric bass). Zbigniew Namysłowski has become a distinguished mentor of young musicians. In the field of composition, Namysłowski has created his own unique and easily recognisable language. The comprehension achieved during concerts required, however, hard work during rehearsals. The harmonic language of Namysłowski faces musicians with numerous challenges that go beyond a standard understanding of jazz. The following are some of the more important records of Zbigniew Namysłowski: Lola (1964), Winobranie / Vintage (1973), Kujaviak Goes Funky (1975), Zbigniew Namysłowski (1977), Jasmin Lady (1978), Future Talk (1979), Air Condition (1981), Without a Talk (1991), Czy to blues cy nie blues / Is this blues or is this not blues (1997), Dances (1997), Mozart Goes Jazz (1999). Henryk Majewski (born 1936) - trumpeter and composer; one of the unquestionable leaders of Polish jazz in its traditional, dixieland style. He co-operated with the New Orleans Stompers. In 1965 he created Old Timers, the longest existing and probably the most distinguished Polish band performing traditional jazz. During the period 1967-1969, Old Timers travelled widely around Europe. Among their other activities, they accompanied world famous soloists such as Albert Nicholas, Sandy Brown or Wild Bill Davison. For many years Henryk Majewski has been managing a number of projects at the same time. He was the co-founder of the Stodola Big-band (1968-73); he was the originator of the idea and the founder of the Swing Session "Superband" (as it was called); he was the founder of countless small formations (duets, trios) created for individual recording sessions or concerts. He is also an indefatigable jazz activist and teacher. Some of his more important records are: New Orleans Stompers (1964), Old Timers with Sandy Brown (1968), Let's Swing Again (1971 with Stodola Bigband), Tribute to Armstrong (1972), Swing Session, Old Timers (1981). Michał Urbaniak (born 1946) - he plays tenor saxophone and violin, he is a composer and he co-operated with Jazz Rockers (1961), The Wreckers (during their 1961 USA tour and their performance during Newport Jazz Festival), and the Krzysztof Komeda Kwintet (1962-1964). Since 1969 he has been leading his own bands: Grupa Michała Urbaniaka / Michał Urbaniak Group (1969-1972), Michał Urbaniak Constellation (1973), The Michał Urbaniak Fusion (1975-1980), and other bands. He is probably the best internationally known Polish jazz musician. His career in the USA began in 1973 when Columbia published his records, and it has been continuing with varying fortune. The beginning of the 1990's was the culminating point in his career. The name of Michał Urbaniak was then mentioned numerous times in various categories of annual questionnaire (survey) of critics of the prestigious music monthly "Down Beat". In his compositions, Michał Urbaniak attempts to integrate the latest trends of world jazz with elements of his personal style. He brings together the original, easily recognisable sound of his instrument with current musical conventions. Consequently, musicians representing the styles of fusion, soul-jazz, funk or rap appear in his recordings of the "American period". When searching for new talents within the New York community, Urbaniak promoted numerous musicians. These were, among others, Marcus Miller, Kenny Kirkland and John Abercrombie. Regardless of his own musical activity Michał Urbaniak co-operated with celebrated musicians such as George Benson, Joe Zawinul, Stephanne Grappelli or Miles Davis. Some of his more important records are: Paratyphus B (1970), Super Constellation (1973), Fusion (1974), Atma (1974), Future Talk (1979), Take Good Care of my Heart (1984), Songs for Poland (1989), Live in New York (1991), Manhattan Man (1992), Urbanator (1995), and Urbanax (1998). Adam Makowicz (born 1940) - he is a composer and a pianist; he performed with Jazz Darings band (1962), Andrzej Kurylewicz's Kwartet / Quartet (1963-1973), with Zbigniew Namysłowski's band (since 1974), with Michał Urbaniak Group, and with Tomasz Stańko trio. Since 1974 he has been performing mainly as a soloist. He is a virtuoso pianist, with his own personal style, both in his own compositions and in piano interpretations of works of other composers. His style is a combination of American tradition originated by Tatum and George Gershwin, with elements of European music referring to the romantic tradition. Makowicz has devoted the last decade to his own interpretations of classical standards written by composers such as Jerome Kern, Irving Berlin, Cole Porter and George Gershwin. His recitals are addressed to a large extent to audiences of philharmonics. The musician himself currently describes his music as closer to classical music than to jazz. This trend incorporates his compositions written for piano and for small bands. 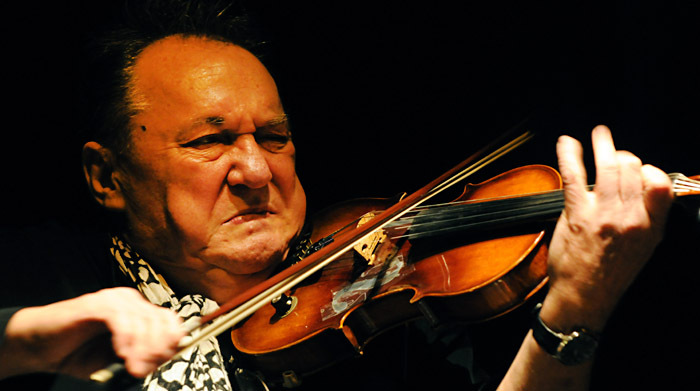 His more important records include: Newborn Light (1972, with Urszula Dudziak), Unit (1975, with Tomasz Stańko), Winter Flowers (1977), Adam (1978), The Name is Makowicz (1988), Makowicz Plays Gershwin (1993), and Tribute to Art Tatum (1997). Jan "Ptaszyn" Wróblewski (born 1936) - he is a composer and an arranger, he plays tenor saxophone; his debut took place in 1956 as he joined the Krzysztof Komeda Sextet. Later he was a member of the International Newport Jazz Band (USA, 1958), Jazz Believers (1958-1959), Andrzej Kurylewicz Quintet (1960-1961). The main bands which he led are: Polish Jazz Quartet (1963-1966), Mainstream (1973-1977), Ptaszyn Wróblewski Quartet (1978-1984), Made in Poland (since 1992). During the period 1968-1978 he was the director of the Polish Radio Jazz Studio. He is one of the leaders of the Polish jazz scene, the originator of numerous unconventional projects, an animator and promoter of jazz in Poland. In his compositions he refers to the main trend of world jazz - straight ahead jazz, mainstream - although in his longer compositions Wariant warszawski / The Warsaw Variant, Maestoso Combinato, Czytanki na orkiestrę / Readers for Orchestra he represents a style which is a continuation of experience of the so called Third Stream. He is a distinguished arranger, he specialises in writing scores for large big-band groups or for combined band-symphonic groups. His more important records include: Jazz Believers (1958), Jazz Outsiders (1961), Polish Jazz Quartet, Polish Radio Jazz Studio (1969), Mainstream (1977), New Presentation (1983), and Made in Poland (1993). In Poland, similar to other countries with established jazz scenes, different styles of jazz are being performed. Simplifying the matters to some extent, we can identify three main streams of jazz: traditional jazz, modern jazz and avant-garde jazz. Traditional jazz in pre-war Poland was performed among others by swing orchestras of Kazimierz Turewicz, Jerzy Petersburski, Zygmunt Karasiński, Henryk Gold, and Ada Rosner. Truly traditional bands, bands that consciously styled dixieland, appeared in Poland after the Second World War. Music Lovers, a band created in the 1950's by Jerzy "Duduś" Matuszkiewicz, performed in two versions, traditional and modern. However, true dixieland was played in Poland only after the appearance of bands such as New Orleans Stompers (from 1957), Zygmunt Wichary Band (from 1954), Modern Dixielanders (from 1956), and later Jazz Band Ball (from 1964), Old Timers (from 1965), Ragtime Jazz Band (from 1966), High Society (from 1969), Old Metropolitan Band (from 1970), and Hagaw (from 1966). Dixieland was at the peak of its popularity in Poland in the 1960's and 1970's. Currently it is at the margin of the jazz scene. However, this situation may change as attempts are being made to reactivate some initiatives related to the traditional jazz stream. The Traditional Jazz Festival in Iława gathers a larger group of listeners and viewers every year. The Prize of Złota Tarka is awarded during this festival. The following are the leading musicians of the traditional jazz stream in Poland: Henryk Majewski (trumpet), Wiesław Eyssmont (trumpet), Bohdan Styczyński (cornet), Władyslaw Dobrowolski (trumpet), Julian Kurzawa (trumpet), Jan Kudyk (trumpet), Mieczysław Mazur (piano), Zygmunt Wichary (piano), Jan Boba (piano), Zbigniew Zabiegliński (clarinet), Wojciech Kamiński (piano), Andrzej Jagodziński (piano), Tadeusz Fedorowski (percussion), Janusz Kozłowski (contrabass). According to the latest ranking list published by the magazine "Jazz Forum" the following bands lead the category of "traditional bands": Jazz Band Ball Orchestra, Sami Swoi / Just Our Own Folks, Prowizorka Jazz Band and Vistula River Brass Band, as well as the veterans of this stream: Old Timers and Old Metropolitan Band. Modern jazz (straight ahead jazz, mainstream jazz) in its pure form is the basis for the creation of all jazz musicians. Standard, blues, improvisation, formal and harmonic rules are all observed by jazzmen, regardless of the stylistics which are preferred individually by each of them. It is a platform for understanding one another, especially during jam sessions of musicians from various countries. The tradition of Polish modern jazz takes its origin directly from relating to the American classics. During the 1950's and 1960's, Polish musicians reached for records of Charlie Parker and Dizzie Gillespie, of hard-bop quintets (The Jazz Messengers and Julian Cannonball Adderley), as well as for the records of bands led by Miles Davis and John Coltrane. It would be difficult to overestimate the influence of the radio programmes of Willis Conover, broadcasted by the Voice of America, on the development of jazz in Poland. The main promoters of modern jazz during the 1950's were Andrzej Trzaskowski, Jan "Ptaszyn" Wróblewski, Andrzej Kurylewicz, and Jerzy Milian. Today modern jazz is promoted by Michał Urbaniak, Zbigniew Namysłowski, Wojciech Karolak, and Włodzimierz Nahorny. Back in the 1950's and 1960's, when there were still relatively few jazz musicians in Poland (there was especially a shortage of musicians playing percussion and contrabass to create rhythmic sections - the basis of existence for any jazz formation), individual musicians could at the same time be members of a number of bands. Sometimes these bands played music of completely different stylistics. Percussion players such as Andrzej Dąbrowski, Czesław Bartkowski, Janusz Stefański and Tadeusz Fedorowski were battled for by famous leaders of jazz bands. During jazz festivals, they often performed in more than one band. The same applied to contrabass players such as Roman Dyląg, Janusz Kozłowski, Paweł Jarzębski, Bronisław Suchanek and Jacek Bednarek. Today the group of outstanding musicians who lead the main stream of modern jazz is relatively numerous. The following bands can be considered as representing modern jazz in Poland: Tomasz Stańko Quartet, Tomasz Stańko Sextet, Piotr Wojtasik Quintet, Zbigniew Namysłowski Quintet, High Bred Jazz Trio, Włodzimierz Pawlik Trio, Henryk Miśkiewicz Band, Simple Acoustic Trio, bands of Jarosław Śmietana, and bands of Janusz Muniak. A separate group within the stream of modern jazz consists of musicians who perform the so called electric jazz or jazz fusion, which was originated by the first American records of Michał Urbaniak. Bands such as Walk Away, String Connection and Tribute to Miles Orchestra represent this group within Polish jazz. The Avant-Garde jazz is usually associated with the concept of free jazz, which has been known in jazz terminology since the times of the classic records of the creator of this stream - Ornett Coleman. 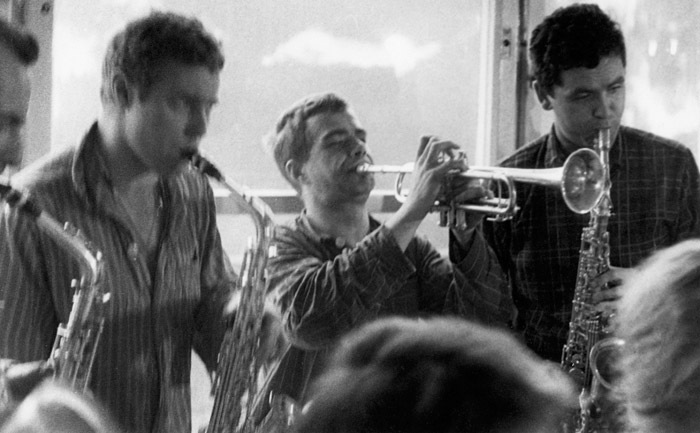 The 1960's in Polish jazz brought about the explosion of experiments. It was certainly the special interest in jazz expressed by classical music artists that contributed to this phenomenon. This was the period of appearance of the so called Third Stream - a particular synthesis of classical music and jazz (especially free jazz). Artists of free jazz played an important role in the process of development of jazz in general. The key historic bands representing this stream include: Tomasz Stańko Quintet (from the first half of 1970's), Zbigniew Seifert Quartet, Stańko-Vesala Quartet, Andrzej Kurylewicz Contemporary Music Formation, Polish Radio Jazz Studio, Session, Teatr Instrumentalny / Instrumental Theatre and Koncert Figur Niemożliwych Andrzeja Mitana / Andrzej Mitan Concert of Impossible Figures. From among all the musicians representing this style of jazz, Tomasz Stańko is probably the only Polish artist who did appear on the European and world scene with his vision of jazz. The avant-garde stream of Polish jazz is also represented by the following artists: Andrzej Przybielski (trumpet), Helmut Nadolski (contrabass), Michał Zduniak (percussion),Władyslaw Jagiełło (percussion) Wojciech Konikiewicz (composer, keyboard player), Andrzej Bieżan (piano), Jan Fryderyk Dobrowolski (piano), Marianna Wróblewska (vocals), Czesław Gładkowski (bass), Krzysztof Zgraja (flute), Włodzimierz Kiniorski (saxophones), Aleksander Korecki (saxophones). A whole new chapter in Polish jazz music was started by Miłość / Love, a band created in Trójmiasto (an aggregate of the three neighbouring towns of Gdańsk, Gdynia and Sopot) in April 1988. Ryszard Tymon Tymański (guitar) is the leader of this group. Together with other young musicians he contests the so called classical stream of Polish jazz. The band describes its music as yass, referring in this way to the original roots of jazz music. Yass is a combination of new wave, free jazz, modern rock, surrealistic instrumental theatre and poetry. Polish yass questions jazz played in Poland so far, it questions especially its creative value. At the beginning of the 1990's, Miłość had among its members a remarkably talented pianist Leszek Możdżer, and saxophonists Maciej Sikała and Mikołaj Trzaska. Miłość began a creative ferment, it gathered a group of believers, it led to the creation of a new stream in Polish jazz. Today this stream gathers at least over ten musicians, it has its own record company (Biodro Records), its own festival ("Muzyka z Mózgu" / "Music from the brain"), and a number of clubs of which "Brain" located in Bydgoszcz is the most important. The leading bands of the yass stream are as follows: Miłość (records: Miłość / Love, Taniec smoka / Dance of a Dragon, Asthmatic, On Life and Death, Not Two - with a famous American trumpeter of the avant-garde stream Lester Bowie); Kury / Hens (record: P.O.L.O.V.I.R.U.S. ); Łoskot / Din (record: Koncert w Mózgu / Concert in a Brain); Duet Trzaska-Świetlicki / Trzaska-Świetlicki Duo (record: Cierpienie i Wypoczynek / Suffering and Resting); Arythmic Perfection (Out to Lunch, Rozmowy z Catem); Trytony / Tritons (record: Zarys matematyki niewinnej / An Outline of Innocent Mathematics); Maestro Trytony / Maestro Tritons (record: Enoptronia); Diffusion Ensemble (record: Azure Excess); Trupy / Corpses; Niebieski Lotnik / Blue Pilot. The leading musicians of the yass stream are: Ryszard Tymon Tymański (guitar), Mikołaj Trzaska (saxophones), Mazzoll (clarinet), Tomasz Gwinciński (guitar) Jacek Olter (percussion), Leszek Możdżer (piano during the initial period), and Maciej Sikała (saxophones). Amongst all the stylistic trends that have influenced Polish jazz in the past and that still influence it today, the most original, truly Polish one (without an equivalent of this scale anywhere in the world) is certainly the "Chopin stream". This stream consists of jazz interpretations of the music of Fryderyk Chopin. It is true that in the 1970's, the Novi Singers group presented jazz interpretations of Chopin's compositions (Novi Sing Chopin, 1971; Chopin up to Date, 1975) but they were only slightly changed, mainly in their transcription. It was not until 1994 when the Polonia Records recording company decided to publish the first album of Andrzej Jagodziński Trio titled Chopin. This was the beginning of a series of artistic undertakings of several musicians (including vocalists). These activities led to a wider artistic phenomenon. However, there are mixed opinions as to whether the changing of complete and perfect works of Chopin leads only to a loss of value of the originals. Some other critics say that adding features of jazz standard to works of Chopin results in them beginning to lead a whole new life. Certainly jazz interpretations make it possible for compositions of Chopin to reach a new audience. Additionally, improvising "about Chopin" stays in accordance with the creative process of the composer - Chopin himself was a genius of improvisation. There are, however, strong expressions of criticism of the idea of the jazz "processing" of Chopin's music. Its opponents underline that romanticism is an artistic trend of so long ago that a synthesis of music of that time and of contemporary music cannot be historically justified. They also reproach jazzmen who "process" Chopin's music that their motivation is purely mercantile and not artistic in nature. They also accuse these artists of a lack of musical taste. The discussion continues. The course of events however cannot be reversed - more and more records with jazz interpretations of Chopin's music are being published. Even more, the main recipients of these interpretations are classical music lovers, and concerts usually take place at philharmonics or during classical music festivals. 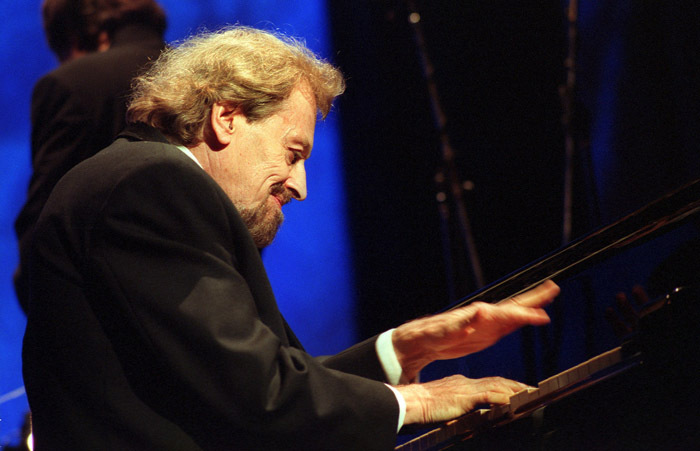 The Chopin stream in Polish jazz is represented mainly by Andrzej Jagodziński, Leszek Możdżer and Włodzimierz Nahorny. Since 1994 Andrzej Jagodziński has been devoting his time to projects on Chopin's music. He creates jazz interpretations of Chopin's etudes, mazurkas, polonaises, waltzes, nocturnes and preludes. In 1999, Jagodziński Trio - Czesław Bartkowski, (percussion), Adam Cegielski (contrabass) - gave concerts in Germany, Austria, USA, Canada, Israel, Mexico, France, Czech Republic, and other countires, mainly for audiences of philharmonics. The band presented its Chopin programme known from its records. Jagodziński recorded the following records with interpretations of Chopin's music: Chopin (1994), Chopin - Live at the National Philharmonic (1997), Once More Chopin, Metamorphoses (1999). Leszek Możdżer treats themes of Chopin's music as one of the many elements of composing. They function in his improvisations. They appear in his works beside salsa, blues or ragtime. Sometimes Możdżer, following the original works of Chopin, strengthens their climate or adds modern accents (rhythm, harmony) but he saves the most important elements of the originals. Możdżer recorded the following records with music of Chopin: Chopin Impresje / Chopin impressions (1994), Impressions on Chopin (1999). Włodzimierz Nahorny undertakes attempts at achieving a synthesis of classical music and jazz. He recorded a jazz version of Mity / Myths - a composition by Karol Szymanowski. His new programme registered on a record titled Fantazja polska / Polish Fantasy (1999) is based on Chopin's Fantazja na tematy polskie A-dur op.13 / Fantasy on Polish Songs Op. 13. The record includes also interpretations of some of Chopin's preludes. Other artists whose names should be added to the three above mentioned musicians working on jazz interpretations of Chopin's music are: Adam Makowicz who presents his own interpretations of preludes (registered on a record); Krzysztof Herdzin who published a record tilted Chopin (the music is presented in hard-bop convention, for which the artist uses the typical jazz quintet sound); Leszek Kułakowski, an author of interpretations of numerous compositions of Chopin for a jazz piano and a string orchestra; Zbigniew Namysłowski who, apart from his Mozart project (Clarinet Quintet in A major in interpretation for a jazz band, string quartet and clarinet), prepares his versions of Chopin's compositions; vocalists such as Lora Szafran (record Tylko Chopin / Only Chopin, 1994); Ewa Bem; Urszula Dudziak; Marek Bałata; Dorota Miśkiewicz. It seems that the Chopin stream in Polish jazz is a unique phenomenon, not only in the history of jazz in Poland but also internationally.